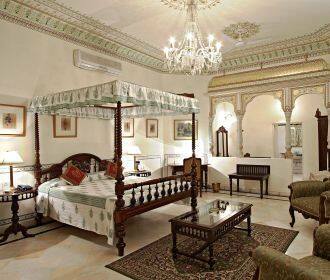 Alsisar Haveli is a 5-star heritage hotel located in Jaipur. 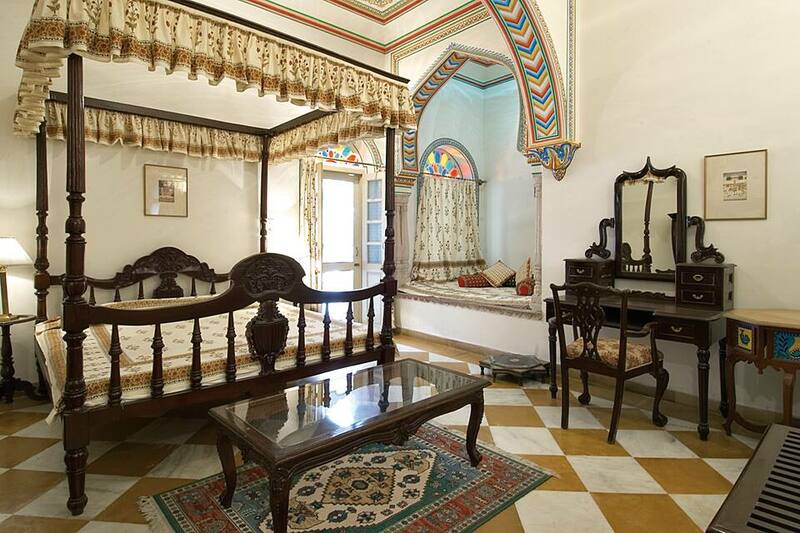 The property is located just 3 km from Hawa Mahal and about 18 km from the Amber Fort. It offers free Wi-Fi to its guests and has a swimming pool facility. Guests can enjoy a refreshing dip in hotel s swimming pool and can avail spa treatments. The property offers meeting/banquet facilities. The hotel provides essential services like 24-hour front desk, tour desk, ticket service, free Wi-Fi, luggage storage and currency exchange. Doctor-on-call service and free parking are also offered. Leisure activities like camel jeep safaris, folk dances and puppet shows are organised as well. 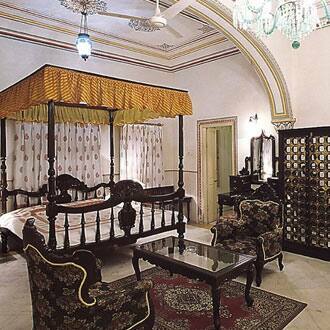 The Alsisar Haveli features 45 well-equipped rooms. 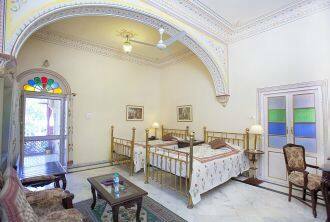 Each room features modern amenities like air-conditioner, TV set and free Wi-Fi. The attached bathrooms are equipped with essential toiletries, bathtubs, running hot/cold water and shower. Guests can relish a wide array of dishes at hotel s restaurant. They serve buffet breakfast and have a fixed dinner menu which comes with an array of options. Liquor is also served here. The hotel is located at a distance of 3 km from Jaipur Railway Station and 13 km from Jaipur International Airport.Some key landmark spots are Jantar Mantar (2.5 km), Hawa Mahal (3 km), Jal Mahal (7 km) and Sheesh Mahal (11 km).For business travellers, Sitapura Industrial Area is located at a distance of 19 km from the hotel. Sitapura Industrial Area is one of the flourishing commercial hubs in the Pink City.